It’s not the most beautiful car crafted in the golden years of American automotive dominance. 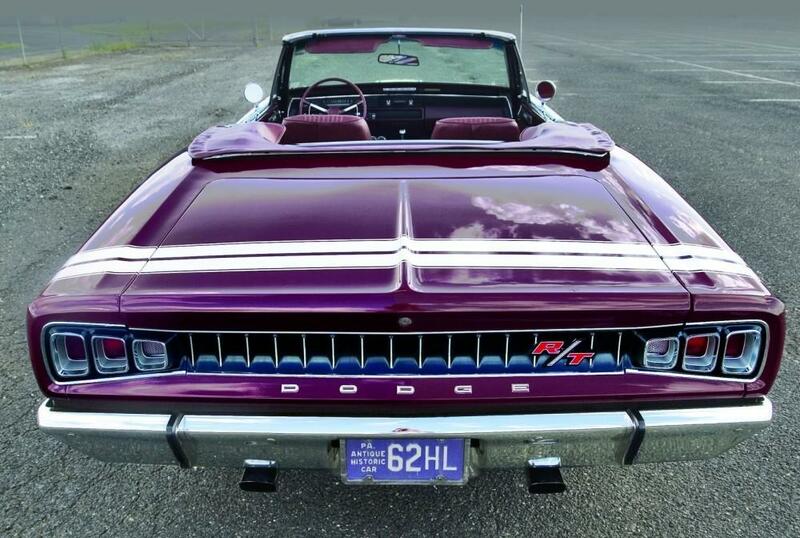 However, since Dodge only produced two Coronet convertibles in 1967 and 1970, it is one of the rarest. Still, with its split front grill and dual hood scoops, along with the classic lines, anybody would be proud to roll on down to the beach with the air ruffling their hair in this truly unique ride. Packard Panther: This silver beauty was built as a concept car in 1954, with only four rolling off the production line. Intended to show the industry where it was headed, a single-piece fiberglass body, sleek styling and removable hardtop worked together to form the breathtaking silhouette. Meanwhile, Packard execs were careful to leave the iconic grill in place, just in case visitors to the show might forget who built it. Low and slow, that’s how this one is meant to roll. 1969 ZL1 Camaro: Sometimes rare does not always drive up your price. The ’69 ZL1 is the last year that the first generation of Camaros were produced. 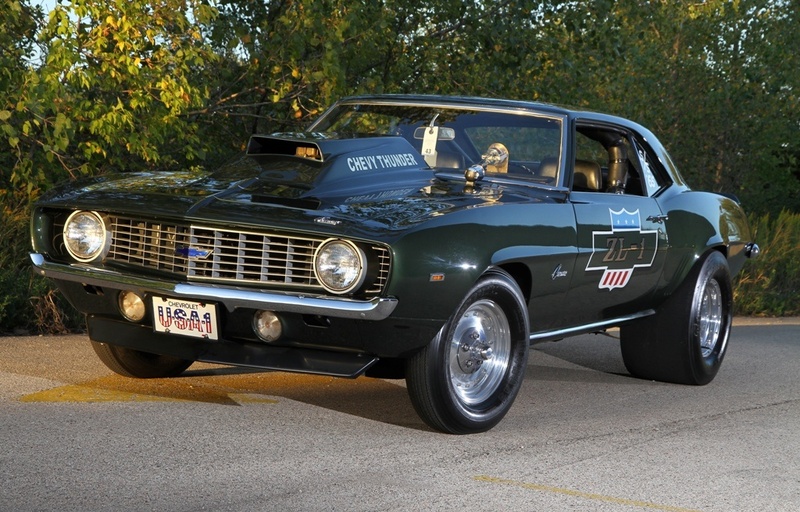 Able to host a number of engine and performance packages it was a favorite of muscle car enthusiasts when it first rolled off the line and remains so to this day. A well-preserved vehicle can fetch up to a million dollars at auction. Its classic lines and stocky rear end can be found on the latest iteration of this classic, but nothing will ever beat the original. 1948 Tucker: It’s the car that threatened to destroy the Detroit auto industry, yet only 51 were ever made. Preston Tucker designed his sedan to make the most out of current technologies, promoting safety and performance far beyond its contemporary machines. Featuring headlights that turned with steering, crumple zones, integrated roll cage, and shatterproof glass all at a price point competitive with the market, the Tucker would have potentially forced competitors to up their values. However, the company folded after an investigation concerning the SEC and it took decades more for Tucker’s innovations to appear on the standard market. The “Torpedo” is currently valued at around $1.2 million. Aston Martin Bulldog: The 1979 single car production looks remarkably similar to the Delorean, without the stainless steel finish. There are also design similarities to the Lotus Esprit featured in the 1977 James Bond film The Spy Who Loved Me. However, why the British car manufacturer constructed this unique machine complete with digital instrument cluster and a rear view monitor in lieu of a mirror remains a mystery. It was dubbed the DP K9 01, in reference to a Doctor Who character. If you leave the quirks to the side, its 5.3L twin-turbo V8 power plant put out 600 horses and could achieve speeds up to 190 mph. That makes it an attractive rare find, in any enthusiast’s book. Mercedes 300SL Gull Wing: This piece of rolling art arrived in 1954, heralding the implementation of fuel injection in its 3.0L engine. Engineers added the gull wing doors to attract the eye of interested sportscar enthusiasts, while its top speed of 160 mph answered any questions about the new technology’s ability to deliver. Of course, it met the Mercedes standard of production while making a stamp in the sport coup segment. You can still find examples of these in collectors’ garages around the world, but they paid a cool $1.5 million for the privilege.